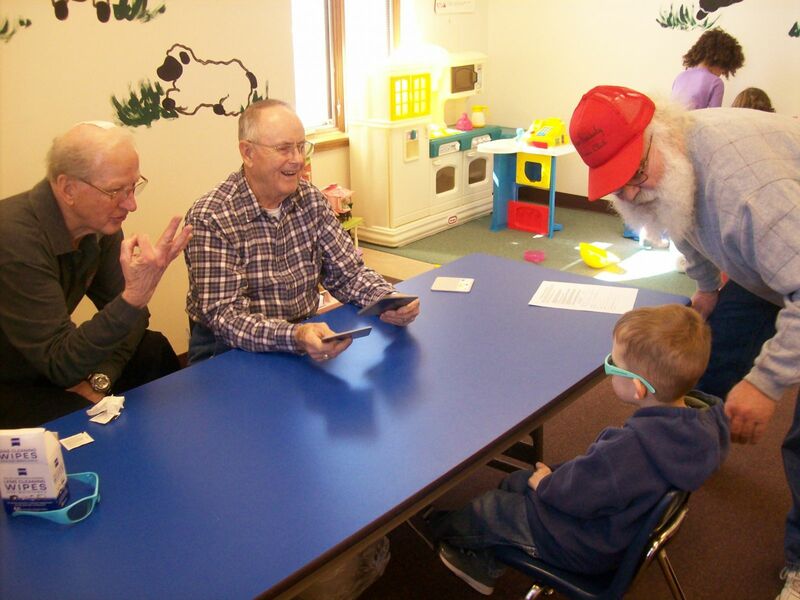 Members of the Upper Sandusky Lions Club (Earl Sayre, Loren Dillon and Jon Grundtisch) perform free vision screenings at STEPS Christian Preschool. Vision screenings were conducted at two local preschools during the 2013-2014 school year. With the help of the Mohawk Lioness Club, 65 students were screened with 7 referred for further testing. The Club plans to expand the program in the 2014-2015 school year to include all five preschools in the county. We are convinced that this is a very worthwhile activity. The Upper Sandusky Lions Club has been active this spring constructing dugouts for the Upper Sandusky Girls Softball League at the Lions Club Field at Harrison Smith Park. During the past two weeks, dugouts have been added to the Visitors and Home Team sidelines. The Lions together with Little League Volunteers continue the upgrade of the ball field which has included the addition of sideline fences, bleachers, a scoreboard, a concession stand and outfield lights for night games.